Canada’s Barrick Gold (NYSE, TSX: ABX) will invest about $2 billion into Argentina next year mainly to advance construction at its massive Pascua-Lama gold-silver project that straddles the border with Chile, reports local newspaper Cronista.com. At the Scotiabank GBM Mining Conference 2012 in Toronto, Barrick said that from the amount allocated to the South American country, $1.8 billion will be spent on Lama. It also said that over $600 million will be used to boost production at its Veladero gold mine, located in the province of San Juan Province, immediately to the south of Pascua-Lama. Pascua-Lama will be one of the world’s largest, lowest cost gold mines. It will also be one of the highest altitude operations in the globe at between 3,800 and 5,200 meters above sea level. In early October, a Chilean appeals court accepted to consider a request for an injunction against the company and its project, filed by a group of northern natives in conjunction with the local government’s environmental evaluation committee. The same month Chile’s Supreme Court struck down the planned 2,100-megawatt, $5 billion Castilla thermoelectric power plant project, citing environmental concerns. 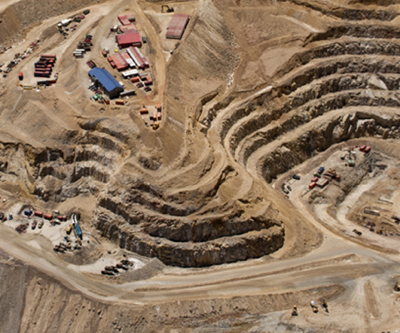 Barrick’s Pascua Lama mine was to be supplied with power from that project, which may result in additional delays and costs. Gold prices fell 2% Wednesday to $1,710, their biggest one-day drop in three weeks. Spot gold hit a low of $1,705.64 an ounce and was down $32 (1.8%) to $1,709.56 an ounce at 14:56 GMT on the Comex division of the New York Mercantile Exchange.